With the trade deadline fast approaching, the buzz around the Golden Knights is almost squarely focused on the third line. It’s a line with only one stable piece, the center, Cody Eakin, and filled with imperfect wingers such as Brandon Pirri, Valentin Zykov, Tomas Nosek, Ryan Carpenter, and Oscar Lindberg. Most, including all three who write on this website, believe for the Golden Knights to reach the top of the mountain, something needs to change with that line. 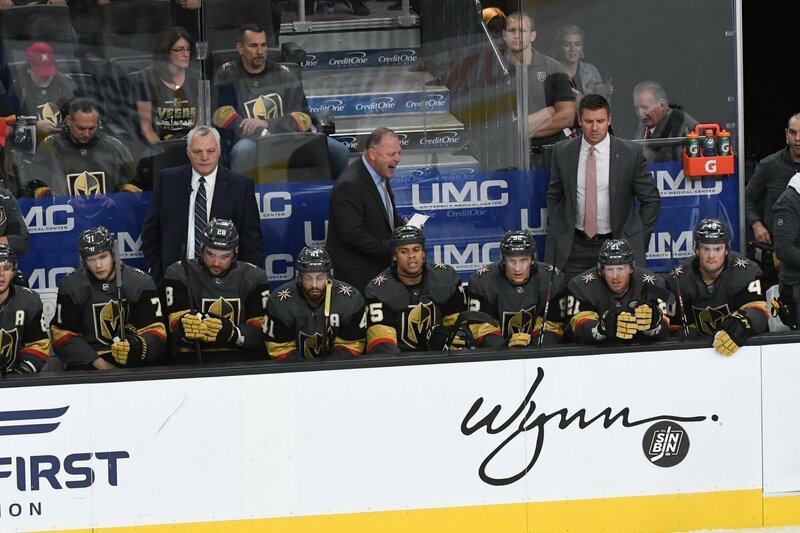 Whether it’s an addition from within, a piece added at the deadline, or reinforcements from the current top six, here at SinBin.vegas, we see the third line as the primary weakness for the Golden Knights. The head coach, who happens to be the reigning Jack Adams award winner, does not agree. Gallant, speaking on the VGK Insider Show with Frank Harnish and Ryan The Hockey Guy on Fox Sports 98.9 FM, says he thinks his team is just fine offensively, even with the third line as currently constructed. In fact, he went on to make an even bolder statement, declaring this year’s team as good as last year’s. That being said, if the right deal comes up, Gallant is certainly welcome to an addition. So you know what we think, you now know what Gallant thinks, now the focus shifts to the man in the ivory tower, George McPhee. What does he think? We won’t know until February 25th. But rest assured, if McPhee thinks his team needs help, he won’t be bashful in going out and finding it. Would A Trade Deadline Acquisition Even Be Enough To Fix The Third Line?